The new American invention, Banana-Bunker protects bananas from bruising when placed in your backpack, nap sack, soft carrying case, or briefcase. At the same time, the BananaBunker also protects your bag's valuable contents, such as CD players, books, papers, and business documents. Whether you are going to work, are on a hiking trip or day trip, are in between classes, or at an athletic event or board meeting, the BananaBunker will keep your fruit safe, until you are ready to snack. 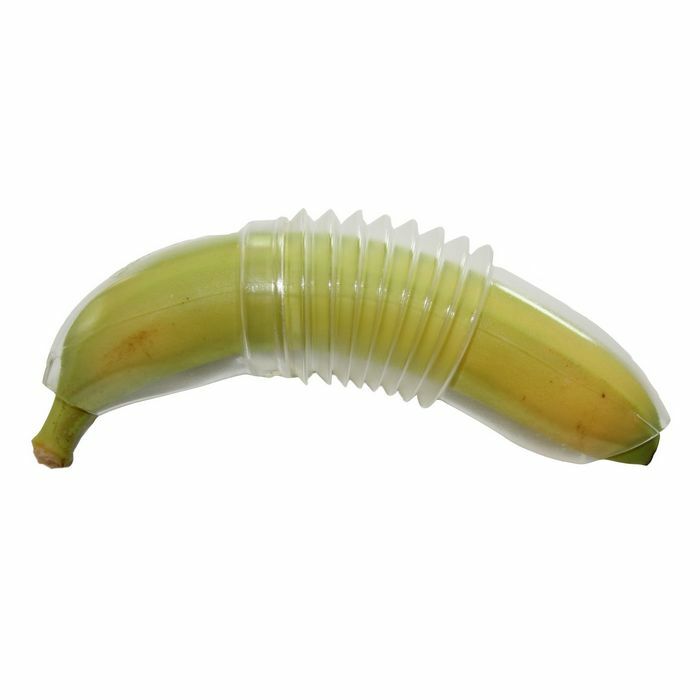 The BananaBunker has a flexible middle part so that it can fit the individual curvature of the banana. Winner of FORM 06 in Frankfurt.